This wasn’t the first article I had planned to write after my prolonged hiatus. I was and am still going to write about the how the 2000-year-old Zohar explains in detail the expansion of the universe in the instant before the big bang; about the missing 38 years from the Torah; time speeding up; and the final segment in the meaning behind the year 2014 series within the context of the final 4 years until Moshiach (the Messiah) in 2018 (5778 HC). The events and their consequences of 2014 are blatantly obvious to everyone watching the news as they unfold all around us. 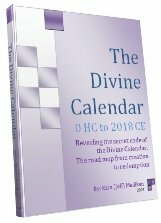 As we’ve explained in previous articles about the 10 Commandments and their prophetic connection to us today, each verse in the sequence of the Torah’s 70th paragraph, ending with verse 20:18, corresponds to our calendar year today, and verse 20:14, corresponding to the year 2014, states, “Do not be envious of your neighbor’s house.” Does this not explain what we see going on all around us? This Utterance of G-d is the last of the 10 Commandments, our last chance to exercise free will in choosing love and loving kindness over hatred and jealousy. We know what drives Vladimir Putin, Hamas, ISIS and Boko Haram, what courses through their bloodstreams. We know what fuels the flames of Ferguson. But it is what we choose in the face of this that matters now. The choice is harder than ever, as you would expect it to be with only 4 years to go and no more Commandments for us to prove ourselves by. We’ve had 5778 years to work on ourselves, 3330 of them with the Torah in hand so we’d be hard pressed to ask for more time, but we could and should ask for help. We already know what our nature is; if we want to connect with the spiritual world, we must seek to go beyond our animal nature. That doesn’t mean to do nothing. 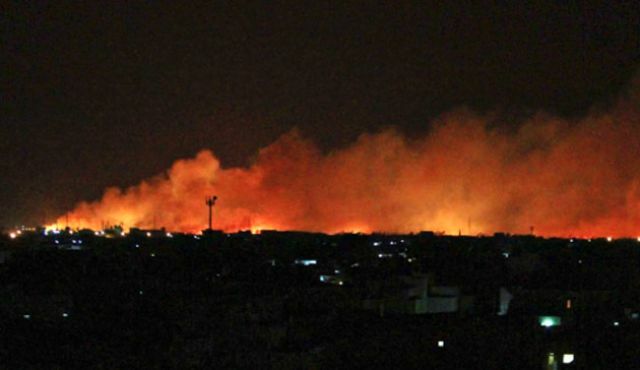 When Assad was gassing his helpless citizens, we could have stepped in then and quenched the fires long before they blew ISIS across the Mid-East; that would have been the compassionate, neighborly thing to do. As a result of the angelic construction of the 3rd Temple in Jerusalem, and consequentially the exponentially greater intensity of light flooding into our world, cracks and fissures are opening up throughout humanity, all emanating from that central point, much like the rivers that flowed from Gan Eden. Counter-clockwise from militant upheaval in Libya to Ebola in Western Africa and Boko Haram in West-Central Africa to Gaza to Pakistan to Afghanistan to Iran to the desperate crises in Iraq and Syria caused by ISIS to Putin’s invasion of Ukraine, the burgeoning antisemitism in Europe and most recently the riots in Ferguson Missouri, the cracks are bringing out the worst of Satan in his death throws, as evil tries everything it can to annihilate good, pitting neighbor against neighbor, desperately trying to erase the commandment to love your neighbor as yourself while it still can. As we live through prophecy being fulfilled, know this, kol tuv, it’s all good. We may be destined to fight the battle, but the light has been with us from the beginning, and will be there with us in the end. There is a reason G-d hid these 5 little letters within the 304,805 ones of His Torah. It’s time we understood them. In Vaetchanan, read on the week that Tish B’Av occurs every year, we have the repetition of the 10 Commandments followed by the first paragraph of the Shema and immediately following that, in Vaetchanan 6:11 we find the expression Kol Tuv (כל טוב), Hebrew for all or everything is good, which HaRav always said was the highest and most complete wish we should make for someone, as it includes everything, so we traditionally wished that for each other after making a L’chaim. But what does it really mean? Or connect to? And why is it used only once in the entire Torah? And why found at verse 6:11, knowing that 611 is the gematria value of “Torah” itself? So we can assume that such a common phrase used only once and very strategically placed at that must have some powerful import, and yes it does. What HaRav passed on from his teacher is that whatever is most overlooked is usually the most important. The first word of this overlooked phrase is kol (CL) of numerical value 50, as in the 50 gates of Binah, and as such the word has always been regarded by the kabbalists as a definite expression and connection to the sefira of Binah (Understanding). It is also regarded as a connection to Yesod, as it includes all the 50 inter-included sub-sefirot from the 5 higher levels of Zeir Anpin above it (Chesed, Gevurah, Tiferet, Netzach and Hod). Yesod is the repository of all that comes from above, and as such, and like the righteous, of which it is associated, Yesod can channel everything to us. Nevertheless, the ordinal value of kol (CL, כל), in other words the numerical place value of its letters within the Hebrew alphabet, is 11 and 12 respectively, a total of 23, and it just so happens that we find the the only expression of Kol Tuv (CL TtVB,כל טוב) in the entire Torah at the 11th verse of paragraph 23 of Devarim (Deuteronomy). That said, this makes the complete value of the word kol (כל) equal to 50 plus 23, which is 73, the value of the sefira of Chochma (Wisdom), the dimension one level higher than Binah. It also connects to the Torah’s very first verse, whose total numerical value is equivalent to the sum of all the integers from 1 to 73. Now the word tov (טוב), first used when G-d pronounced in Bereshit(Genesis), “it was good(ki tov)” has he numerical value of 17. It also has an ordinal value of 17 as well, thus it has a complete value of 34 and when we add the kolel for the 3 letters, we get 37, which it turns out is the inner dimension of Chochma (ChCMH), in other words the ordinal value of Chochma. Every sefirot is both light and vessel and has an inner and outer dimension to it and so does every word. In the case of Chochma (ChCMH), its numerical value, 73, forms the exact number of units in the 4th natural star number. 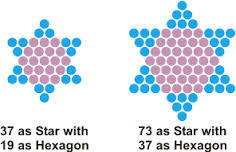 Star numbers form the shape of the Magen David, also known as the Star or Shield of David. And so does the number 37 (the 3rd Star number), but 37 is also the number of units in the central hexagon of that 73-unit Magen David, so they are integrally related, one the inner dimension of the other. Please do not think this is coincidental, as the numerical value of Israel, 541, gives us the 10th Star, and furthermore, as it turns out 37 x 73 is also the same value as all the integers from 1 to 73. This aside only serves to show the depth and the everlasting power to which the simple phrase, Kol Tuv connects. The initials of Kol Tuv (כל טוב), Caf (כ) and Tet (ט) are the letters (כט) that Abraham told us in his Sefer Yetzirah (The Book of Formation) represent and influence the month of Av so it’s no wonder we find Kol Tuv (CL TtVB) in a portion only read in Av. And since the letter Tet (ט) is the 9th letter of the alphabet it is also no wonder that the portion is always read immediately following the 9th of Av, the day of maximum light of the year, when the negative side holds sway in the morning and when Moshiach consciousness reigns in the afternoon, similar to that first day in Bereshit. After G-d pronounced the light good, He separated it as light and darkness, day and night. The final letters, which Rav Brandwein of blessed memory taught me speak to the future, in the phrase Kol Tuv (CL TtVB),are Lamed and Bet (לב), which happen to be the first and last letters of the Torah and spell Lev (LB), Hebrew for heart. Besides encapsulating the Torah, they have the numerical value of 32. They universally represent the 32 Paths of Wisdom and the 32 Paths of the Tree-of-life. Similarly, the first 3 letters (כלט) of Kol Tuv (CL TtVB), representing the 3 columns of the Tree-of-life and have an ordinal value also of 32. Their complete value is 91, that of Amen, the unification of the YHVH with Adonai. 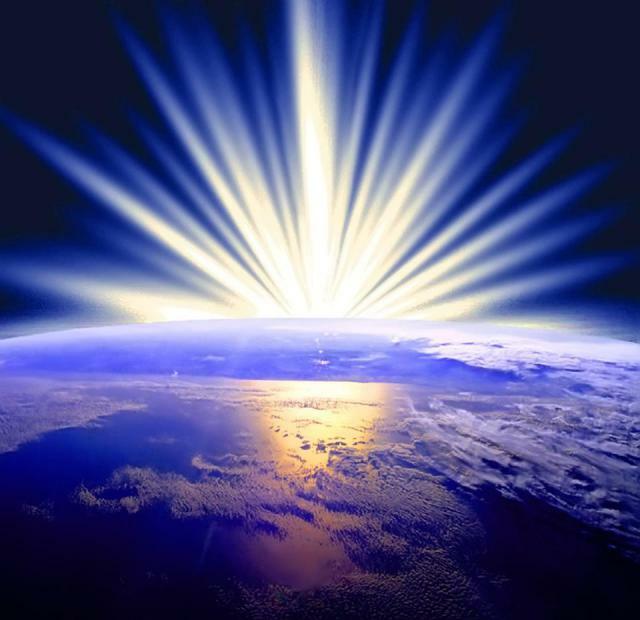 When we recite or read a Hebrew expression with the insight and understanding of the spiritual technology behind it and with the knowledge of the gates and pathways of energy that it opens up for us we become channels for that light, and the world becomes our vessel. As an open channel we can expand ourselves infinitely. But the key is heart. To really open ourselves up and really make a difference, we must have intention and not only a desire for the love of the Creator, but a desire to share it as well. This doesn’t need to be a prolonged meditation; it could happen in an instant, but your head and heart have to be in the right place. The complete value of Kol Tuv (כל טוב) is 50 + 17 = 67, which is actually the numerical value of the Name Binah, which to us is everything good. The complete value of Tov (טוב) is 17 + 17 = 34, which corresponds to the 34 letters in the 3 spelled out iterations of the YHVH at the level of Ban (Malchut) and thus acts as a ground for us. Thus in saying Kol Tuv (כל טוב) with the proper intention we can draw the conjoined purified energy down from Chochma and Binah and draw it down through Yesod, represented by Kol (כל) to Malchut, our world represented by tov (טוב). We can’t actually picture what this looks like, but we can imagine the process as it flows down to and through us just before or as we recite it. And finally, the central letters in Kol Tuv (כל טוב) form the Hebrew word, Tal (טל ), which the Arizal said would take 80 years to fully explain, but we can in our limited way understand it to mean dew, as the energy of sustenance that replenishes us everyday, the shefa. It also has to do with the 39 letters of the 4 variations of the spelled out YHVH and the energy of Moshiach consciousness to which we need to attach ourselves. Nonetheless, the complete value of the expression Kol Tuv (כל טוב) is 67 + 40 =107, and the sum of all the integers from 1 to 107 is 5778, the Hebrew year equivalent to 2018, the year prophesied for the coming of Moshiach and the geula, the final redemption. 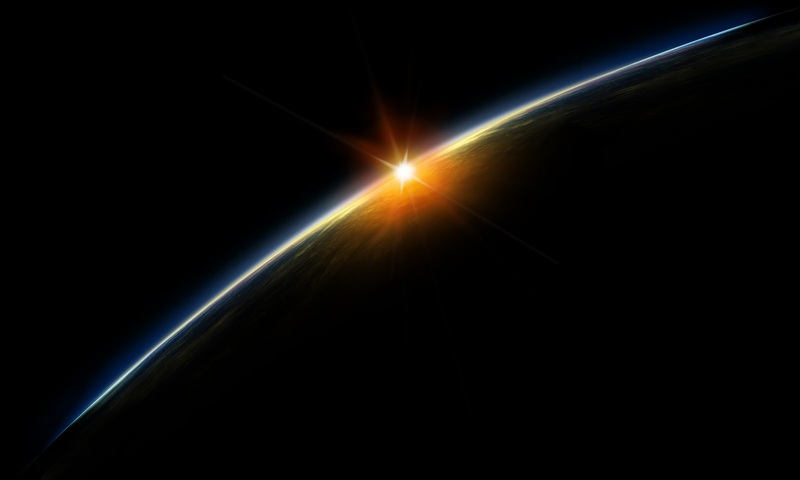 So just as the complete value of kol (CL) connected us with the Beginning, the complete value of Kol Tuv (כל טוב) connects us with the end, the end of darkness, and the new beginning. And just as every year for 5778 years the 9th of Av has reminded us that darkness can feed off the light and run rampant, it also reminds us that it eventually burns out and new life grows in its place. The initials (כט) in Kol Tuv (CL TtVB) have an ordinal value of 20 while the corresponding value of the next 2 letters (CL TtVB) is 18, thus forming 20:18 and those 2nd set of letters (LamedVav) represents the LV (לו) of numerical value 36, as in the 36 tzaddikim (righteous souls) that sustain our world and guide us from generation to generation (L‘dor V‘dor) toward Moshiach. Just to note, the gematria of (L‘dor V‘dor) is 444 and there exactly are 13 generations of 444 years in 5778 and 13, the numerical value of the Hebrew word for love, is the 2nd Star number, as discussed above. It all begins with love. The final letter in this sequence is Bet (ב) of numerical value 2, which once again shows us that the 2 calendars are converging and that the two 2018’s are one. In the Hebrew calendar year 2018 G-d made His Covenant of Halves with Abraham, promising him everything, and in 2018 CE in the Western Calendar (5778 HC) it is prophesied to be fulfilled, 70 years after the birth of the Israeli nation in 1948 CE, fulfilling yet another part of the prophecy and coinciding with the birth of Abraham in 1948 HC. Moreover, when we add 5 for the 5 letters in kol tuv (כל טוב) to its complete value of 107, we get 112, which all kabbalists know as Yabok, the place when Jacob defeated the dark angel and became Israel, and also the unification of the YHVH of numerical value 26 with Elohim, 86, which in both instances represents the triumph of the divine spirit over the natural one. This is the energy we should tap into when saying and wishing kol tuv (כל טוב) and this is the energy that will triumph in 5778. Now for those that understand, the sole placement of kol tuv (כל טוב) at 6:11 connects it to the higher Name of G-d Ehyeh (EHYH) that is also found in only one place in the Torah, when Moses conversed with G-d at the burning bush, telling him, “I shall be who I shall be.” There are 4 variations of the spelling out of the Name EHYH, corresponding to the 4 spellings out of the Name YHVH, and their total value is 611. This is the Name that “shall be” with us through the end of the exile. This is just one small thing we can do to wind the war against negativity, overcome our nature, help bring the final redemption, but it is something. And it’s something real. And it is a start for many. Doing nothing is not an option. 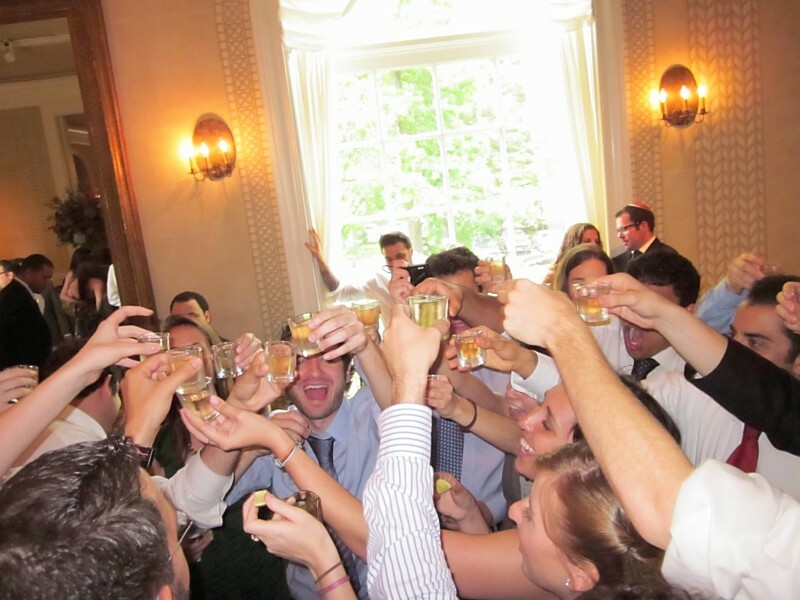 So let’s all wish each other l’chaim with the expression kol tuv (כל טוב) and this time let’s mean it, let’s tap into the energy of the endless and channel it with love in our hearts to our family, friends, and especially to our neighbors. Let’s bring Moshiach. This is fantastic! Thank you Erza! wishing you, and all, kol tuv (כל טוב)! Re 73, 37, Star Numbers, Ten Sephiroth . . . . The first ten letters of the Torah (Bet Resh Aleph Shin yod Tau Bet Resh Aleph Aleph) are numerically 2 200 1 300 10 400 2 200 1 1 which sum to 1117. The 1117 paints several pictures, eg. Very nice. And the ordinal value of those same 10 first letters equals 100 or as you point out 10 x 10. The “reflective imagery” of the numeric value, 3701 of the 42 Letter Name, ie 3701 being a mirror image of 10 7 3, seems a tad more than co-incidental. Add in the 173 Keys to the 42 Letter Name (Generated via Modulus 9 arithmetic) and the Fine Structure Constant (of modern Physics) being approximately 1/137, and the “coincidence factor” rises even a few more notches. Truth/ Emet( = numerically 441 ie Aleph Mem Tau or 1 40 400) Plus the 100 gives 541, the numeric value of Israel. or 310 on one side of the Resh and 31 on the other side – a numeric picture of three columns and a 10:1 Ratio, pictures which jive with the Tree of Life and many other comcepts such as the Ten Sayings of the Genesis Week, and the Ten Commandments/Dibrot, which (Exodus version) consist of 620 letters, ie twice the 310 cited here. Many many things tie together, even from just a few letters. eg the Aleph Lamed, the 31. when spelled fully becomes Aleph Lamed Peh and Lamed Mem Daleth, or numerically 1 30 80 and 30 40 4 for a total sum of 111 + 74 = 185. Combining the original 31 and the 185 we have 216 — a hint at the 216 letter of the 72 Triplets that were engraved on Moses’ staff. Thanks Peter. Along the line of your thinking, the Resh-Shin-Yud of ISrael spells the letter Resh (RSHY) of numerical value 200. Then add E-L for 31 to complete Israel and the Name connects to 200+31 = 231 as in the 231 Gates and the entirety of the 2-letter combinations of the 22 Hebrew Alef-bet as explained by Abraham Avinu in his Sefer Yetzirah. Thanks again for the illumination. Thanks Jeffrey — Israel as the 1540 Three letters roots, and as “There are 231” (ie the 231 Gates) is familiar territory. One of the elements of the Da Vinci Code Movie plot was the re-reading of San Grael (Holy Grael) as Sang Real (Royal Blood is the movie interpretation ). Interestingly, Dan (I presume he authored that part of the plot) opted for the GRAEL spelling rather than the traditional Catholic GRAIL SPELLING. Dan’s “fiddle” with the spelling both hinted at something hidden in the spelling, and highlighted the primary legend (the magic cup or chalice) and a secondary one = the Merovingian / descendants rumours / books. Meanwhile, the focus never got onto the Gimel hidden in plain sight. The Resh Aleph Lamed (231) of IS-RAEL and G-RAEL are one and the same, both written in Hebrew – the triple set of 231 Gates, shorthanded as GRAEL, was not understood by the local populations of western Britain, mainly Glastonbury and the islands off Scotland, and eventually Ireland as the monastic culture spread. Some of the Druids, who embraced the Torah knowledge that came into western Britain along with the Roman empire shipping and mining, probably understood – but the 231 or 693 gates (the Triple Vortex cf The Triquetra) were a tad much for the “locals”. And in due time, those concepts were definitely too much for religious and political authorities in western Europe. So those ancient Torah and Kabbalistic documents were hidden from the churches and governments who wanted them burned — hidden for about 1800 years. And then they were smuggled out of Britain, to the other side of the world, protected and kept secret once again – at a very appropriate latitude for Torah related documents – 37 South. (All of that makes quite a story — writing a fictionalised version/book of it is one of the tasks sitting on my To Do List). “the end is en wedged in the beginning” first verse =2701=2017. What if any does the 146 verses in both B’resht and in Miketz mean? The beginning/at the end…….very interesting to say the least!! Thank you Ezra for all your insights…….any thoughts on this? Thank you so much Miriam. I never saw the link to Miketz and Bereshit before, but yes indeed, they are tied together, the Torah’s 1st and 10th parashot, and bound with their initials too, MB, as in the 42 letter Name in the Beginning and in the End. I will investigate much further now. Thanks again and WOW! The 641 is the 146 (as in Miriam;s question), when viwed from the end rather than from the beginning. Coincidence or more, there are shades here of saying ALOHA (Aramaic for God, cf the old Austrian Grusse Gott – I greet the God in you (OR May God greet you) – the ALOHA is used for greeting on the islands named by people who saw their origins “backwards” when viwed in the rear view mirror of time – so the Tetragrammaton, viewed in reverse, became Heh Vau Heh and Yod. Out of respect for the sanctity of the name, they often disguised the name by swapping in a K (as in ELOKIM) – so that Ha-Va-H-I became Havaiki. The two sets of 146, summing to 292 may be a pointer to the central Gate of the 42 Letter Name (290 or 29 in Small Gematria, and the Atomic Number of Copper, the “entry level” metal in the Tabernacle. Laying out the numbers 1 to 10 in an array, we are looking at a 10 * 1 ARRAY. The circumference – 1 at each end and ten down each long side, is 22. Add a dimension, and we have a box with surface area 4 * 10 plus 1*1 at each end — for a total surface area of 42.
the 73 * 37 – 2701 or 0.73 of the 3701 (Value of the 42 Letter Name). I never pretend to know what the Creator has in mind, and thus don’t try to stretch meaning or to rework the numbers very much. 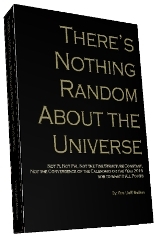 That said, we do know that the Creator actually had everything in His mind and so anything we come up with is possible. There is deep very important meaning here and I’ll be writing a short article about what I’ve gleamed of it soon. Your insights continue to inspire and provoke deeper connects for me so please keep them coming. As for 146 what is significant is that it represents 2 x 73 and also 2 worlds (olams, each of numerical value 146). The connection to the MB is also very important here. As for the 4th line of it (BTtRZTG) in small gematria as you suggested, we have 292943. Also notice that in the MB matrix we have 2 sets of G and A (AG, 73) above one another; one in the 1st 2 lines and another after the 292 in the 4th and 5th lines–the significance will B’H be explained in said article. My thanks again to Miriam and Peter. 2 * 601 + 1499 OR Twice the 110th Prime(601) plus the 239th Prime (1499). Thinking of that breakup of the verse, we have 3 Primes => 2 * 110 and 239. I would have thought nothing of it except for the 231 Gates – as in the 231 two letter roots in Hebrew, which come out as 462 if we do the equivalent of treating “AB” as different from “BA”. The 231/462 relates to the N’tiv (cf Abraham’s Netivoth in the Sepher Yetzireh), the mystical secret path that is spelled Nun Tau Yod Beth or 50 400 10 2, , summing to 462. The 462 also turns up in the interplay of Light and Dark, or more accurately of Shining Light and Reflected Light, in the creation “myths” in the Pacific Islands — no real surprise since the “myths” go back to the sailors who saled on Solomon’s ships, and almost a thousand years later, for the Ptolemies / post Alexnder The Great Egypt. Reading Israel as “There Are 231” could justify paying some attention to the 239th Prime and the 239 + 220 + 3 = 462 or 2 * 231. I’ll review this later, but last night HaRav Berg gave me some clues to the puzzle. between the two connected portions, there are 292 verses of the 5845 verses in the Torah and 5845/292 = 20.17 or .02017 percent of the Torah, yet another allusion to the year of Moshiach, 2017. B’H. Thanks Jeffrey. As usual, am looking forward to more of your gems. There are links between the Periodic Table and the 42 Letter Name – cf the structure of the Periodic Table and its links with the number 42 on the Torah Science website: http://www.torahscience.org/natsci/periodic.html. Row lengths in the Periodic Table, which are related to the number of electrons in the shells/orbits around atoms, are a function of 2*n^2 for n = 1, 2, 3 . . . .
And if n = 2, then the square of 2 is 4 and double that is 8. If n = 3, then n^2 = 9 and so, 2 *3^2 = 18. Looking at the Periodic Table, we can see row lengths of 2, 8, 18, the same numbers generated from the formula 2 * n^2. which is 2 * 11^2 + 2 * 5^2. Blessed Art Thou in the city. . . .(Devarim/ Deuteronomy 28) . Bet-Resh-Vau-Caph, as in “B’Ruk or V’Ruk / Blessed” is numerically 2 200 6 20, summing to 228. Lookpng from the Lines I identified in the previous post as being of numeric value above 700, ie Lines 2, 4 and 7 of the 42 Letter Name / Genesis Prayer Matrix, their numeric values summed to 2339. Looking at the related / connected words in the first verse of the Torah, we have (Word 2, Word 4 and Word 7), values of 203 401 and 296, summing to 900. So the difference “betwixt” the equivalently positioned Lines (Matrix) and Words (Verse One of Torah) is 2339 – 900 = 1439. 1439 is the 228th Prime Number — cf the link between Blessed and 228 a line or two above.All of which kind of jives heavily with the notion covered in Jeffrey’s writings, that mastery and grasp of the 42 Letter Name is a key to Blessing — and in particular to the Blessing of the Tree of Life and Messianic Consciousness cf Tree of Life / Etz Chai’im minus the usual “The”/Heh (as in “The Tree of Life” or more literally “Tree The Life” or “Tree the Lives”0. Removing the Heh (=5) from the standard 233 gives us 228 as in “Blessed R U” (Blessed Are You). Reading the letters at the end of the lines in their final forms gives us altered values in, aor, at the end of, rows 1 and 2. The letters that change are Tsadhe (=90) which changes to its final form (=900), and Nun – which changes from 50 in its standard form to 700 in its final/sofit form. The value of the change = 900 + 700 – 90 – 50 = 1460. There is possibly/probably some inter-connection between the two Torah portions which have 146 verses (as discussed in the earier comments), the 73 Syar Number in Ezra’s article, and the 146 as a container (Kli = 60) for the Divine Name of value 86, which is a container for the Love and Unity (13 each for Ahavah and Ehad) of the Tetragrammaton, value 26. Yes, and the tzadi and nun sofit are the two final letters of the Ana B’koach (Shem Mem-Bet matrix)’s first two lines. While the numbers point to the possibility of Moshiach coming very soon. What do we have to do to merit Moshiach? Is it possible that the suitable year for Moshiach can come and go if we do not do our part? And if we must do our part, how do you see the consciousness of the world shift to realize what we must do? Please explain. Supplemental to the Aug 24th and subsequent posts re the first ten letters of the Torah summing numerically to 1117, it is probably no co-incidence that 1117 is the 187th Prime Number. Chapter Numbers were “added” to the Torah LONG after the Torah was given, – added, apparently for ease of reference for discussions between European scholars and Torah scholars — there are many instances given on this website where Jeffrey indicates that the chapter/verse numbering seems to have been “inspired”, or at least, very fitting. The 187 Torah chapters vs the 187th Prime Number, may be one more example. Shabbat HaGadol (“Great Shabbat” שבת הגדול) is the Shabbat immediately before Passover March 30,2018. Then 8+8 days after 8 days of Pesach, ON 4.24.2018 the 8th day of the 8th month Iyar, according to internet program Stellarium (Location: Jerusalem,Israel at time: 9:30) the moon comes upon the star Regulas in Leo constellation of Judah ushering the Moshiach. (TIME FOR RECEIVING THE FULLNESS OF GOD). We know, historically, that the Hebrew calendar day starts at the evening of the previous day. Concerning what I have mentioned. . . 4.24.2018 on the internet is 9th of Iyar, but the 8th day of our calendar. Where I live, is exactly 12 hours different from Jerusalem, Israel. 9:30 PM is 9:30 AM in Jerusalem, interestingly. P.S. On 4.24.2018 Jupiter is in Libra. Jupiter in Libra suggests the KING’S TIME TO RULE. Simple question : For a religious point of view , can we speculate on the year of Mashiah Redemption ? Yes, if that speculation stems from a sincere desire for a closeness to G-d. Always we need a heart of TESHUVAH (OPEN OUR EYES,OPEN OUR EARS, OPEN OUR HEARTS TO OUR GOD) so He may refresh us, restore us, to His true love and rejuvenation. REMEMBER GOD HIMSELF HAS FURROWED THE HARD GROUND, PLANTED THE SEEDS, FERTILIZED, AND NOW THE HARVEST IS READY FOR HARVEST ! . . .even if it’s only your own heart !!! That is what it means ushering in the Moshiach, for His promises are true. . .already in our hearts. Daniel’s 70 ‘Feast of Weeks/Shavuot’ prophecy out of Daniel 9:24-27 witnesses to your Divine Calendar and 2018. Previous Previous post: The Zohar Explains the Final 70 Years until the Redemption. Next Next post: Shhh! It’s a Secret! According to G-d, That is.